Stirling performance astons objective wras to attack jaguars supremacy in the wrorld of sports car production and achieve a foothold in future production of grand touring cars. The dbr 2 started in. 1957 with a 3-9-liter engine, later upped to 4.17-liter, double-overhead-cam capable of 315 hp when it was brought across the atlantic for the u. S. Racing circuit. The original engine configuration was designed by a polish engineer, tadek marek. 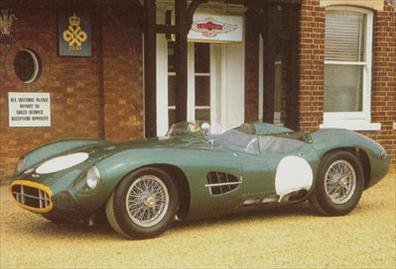 Stirling moss drove the dbr 2 4.17-liter at nassau in december of 1959 in the final appearance ever by a works-sponsored aston martin in a sports-car race. In 1959, the dbr 2 captured a victory at the 24 hours of le mans. fast bucks the cars in the dbr series are some of the most coveted of automobiles produced in the mid-20th century. For collectors, not surprisingly, they bring the highest prices of all aston martins, with values starting in the middle six-figure range. The muscular exterior of the dbr 2 is a perfect complement to its powerful engine.